It’s rare that the whole family gets a chance to sit all together at one place as all of us are so busy in our daily routines. But when it does, like a festival or a party, it’s the perfect situation for rummy. 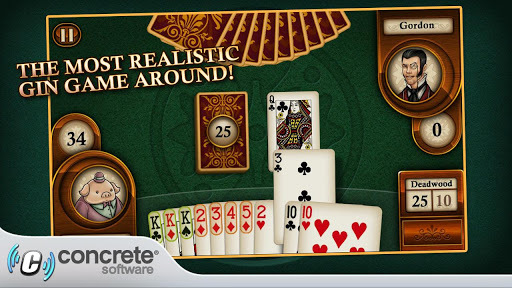 There are many other card games such as Poker, Black Jack, etc. But I think that Rummy is the most loved and popular card game among families. It is very simple to understand as there are not so many rules to learn. Just concentrate on creating as much bigger and complex melds as possible and try to eliminate all the deadwoods. You don’t need to be street smart, but just sheer presence of mind and some good common sense can take you home. But I don’t see any festival coming right away for the gathering to take place. So why don’t you try the game on your Android device all alone! 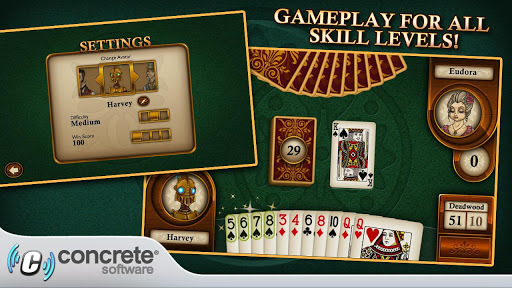 Today I have for you this new Android app called Aces Gin Rummy that has been developed by Concrete Software. 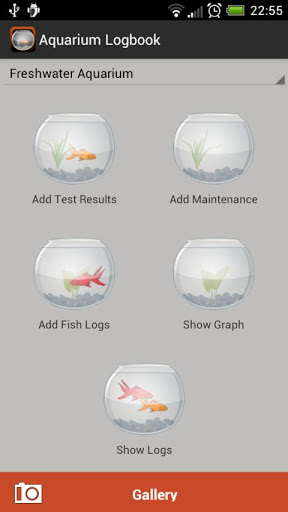 The app is compatible with all the devices running Android 2.0 or later version of the OS. 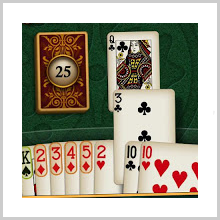 All you need is some basic knowledge of Rummy and not even that if you start with the easy mode of difficulty which is mainly for the amateurs. This is Gin Rummy so that you’ll be playing head to head against another player. 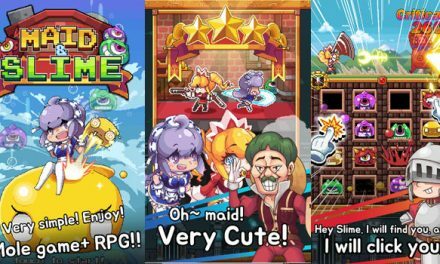 The app features the classic game on a modern platform with a whole new avatar. But the traditional way of scoring keeps the interest and faith alive. Also, there are no extras to just fill up the package. It is clean and straight with all the content worthy and meaningful. You can take up any of the 11 avatars for yourself. 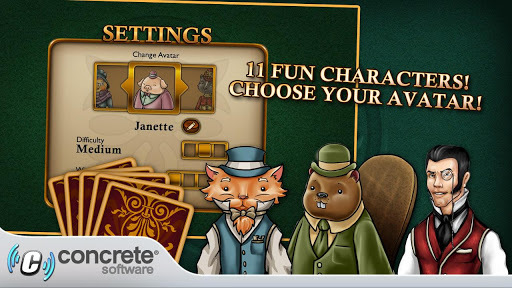 The different avatars includeKristof,Mr.Porkins, Kurt and Lihua and let me tell you that there are animals as well dressed like Gentlemen. So you better watch out on your favourite. The basic gameplay is to make melds and eliminate deadwoods. Try making a minimum of 3 cards hand and expand it if you can. For each hand, you get some reward points. Also, if it’s a Big Gin i.e. if you eliminate all your deadwoods, you get extra bonus points. Ultimately, the winner is the player who scores 100 points (or whatever you have set the limit) first. So, you can see that the gameplay is as simple and addictive as it could be. There are some nice animations of coins switching from one side to another and one can always expect some high quality graphics from a Concrete Software game. The sounds are interesting as well; but not far distinct from many other games. There is just one problem that the game stretches out on large screen and the ends remain empty. The app is available for $2.99 in the App Store. On the whole, I admire the fact that the developers have successfully retained both the new and old essence of the game. Pros: a perfect time killer; simple gameplay; nice graphics and animations. Cons: graphic window stretches short at the ends. 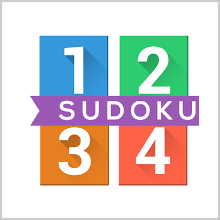 SUDOKU FREE – NO MORE PAPER TRASH! 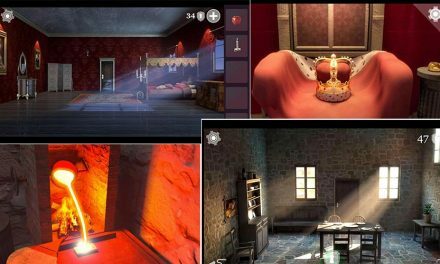 CASTLE BREAKOUT- CAN YOU ESCAPE?